Congratulations to all you lovely ladies who had an extra special Valentine's Day! Now that he's put a ring on it, what's next? 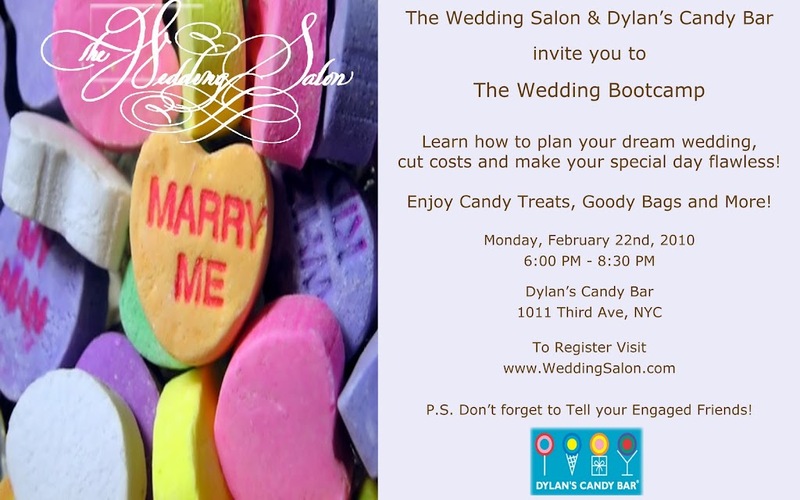 For you lucky New York City Brides, The Wedding Salon will be hosting a Bridal Bootcamp at Dylan's Candy Bar on February 22 from 6 PM - 8:30 PM. Get the tips from a number of New York City vendors, including wedding guru Anne Chertoff, who will be sharing her top ten tips for the wedding year. To register, visit www.WeddingSalon.com. And don't worry big city brides! The Wedding Salon will be coming to Miami and Los Angeles to show you the best in luxury weddings. Image via The Wedding Salon.